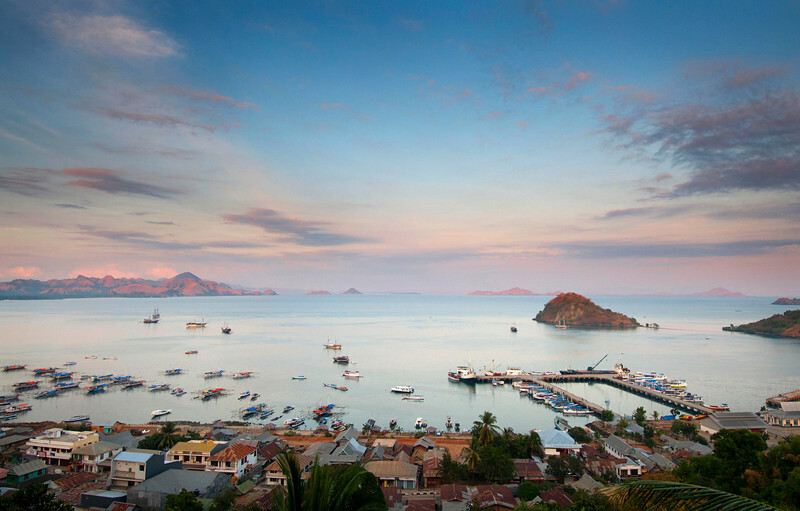 Flores Island is the starting point for most diving adventures in the Komodo Island area. The small hilltop airport has sporadically scheduled daily flights, and the harbor is filled with fishing boats, day boats for snorkeling trips, and double masted wooden schooners for live-aboard dive trips. Just recently, Flores also became notable for its paleontology studies, where as a small skeleton was discovered - that of a previously unknown hominid species, Homo floresiensis. These diminutive upright beings have been named 'hobbits' and appear to have stood only one meter tall. From almost any small room on the hillside, you can sip javanese coffee and watch the sun rise over the wakening bay.